One and a half million cubic yards of earth were moved to form The Wizard’s intriguing landscape. The plantings on the berms and mounds include over 800 species of plants, flowers, and ornamental grasses. USGA RULES WILL GOVERN ALL PLAY except where modified by Local Rules. 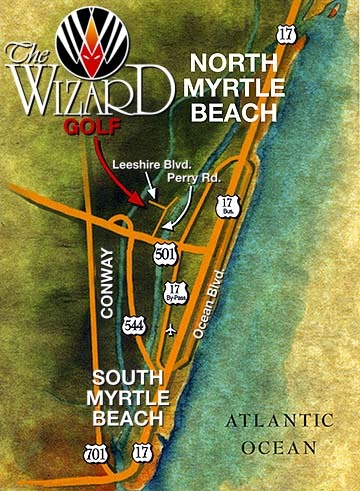 http://www.golfadvisor.com/destinations/134-myrtle-beach-sc/ – top rated courses in Myrtle Beach by user ratings at Golf Advisor.